I frequently use old tins - ones that used to contain tobacco, cigarettes, gramophone needles, medicines, repair kits - in my work. Sometimes the tin acts as a frame for a diorama-like painted and collaged scene; mounted on the wall it will open to reveal a cityscape in miniature or a treehouse seen through clusters of leaves. Other times I will cut into the tin and paint on the printed lid, making use of the original packaging design or the gorgeous patina of the metal. Of course, I daren't tell the sellers at the fairs when I buy things from them - some of these tins are collectors' items. 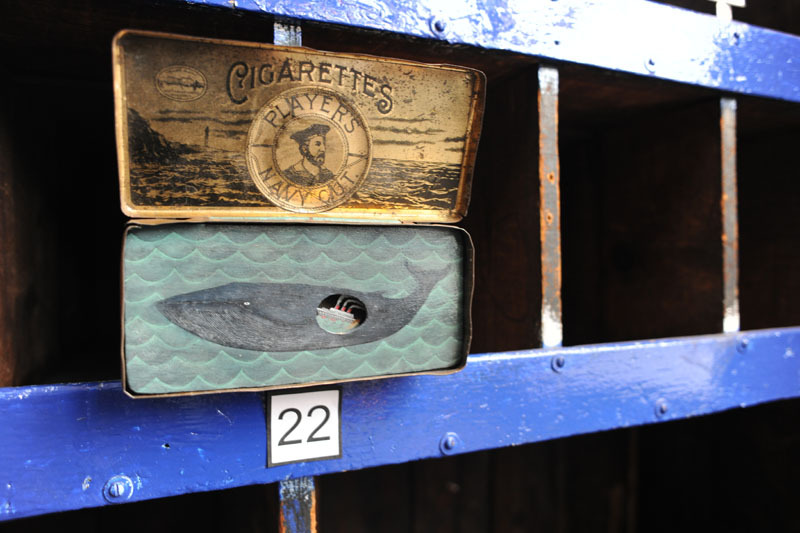 Often the design on the tin or name of the product will inform the final work; a throat pastilles tin contains a clockwork bird, a navy cut tobacco tin houses a submerged village. 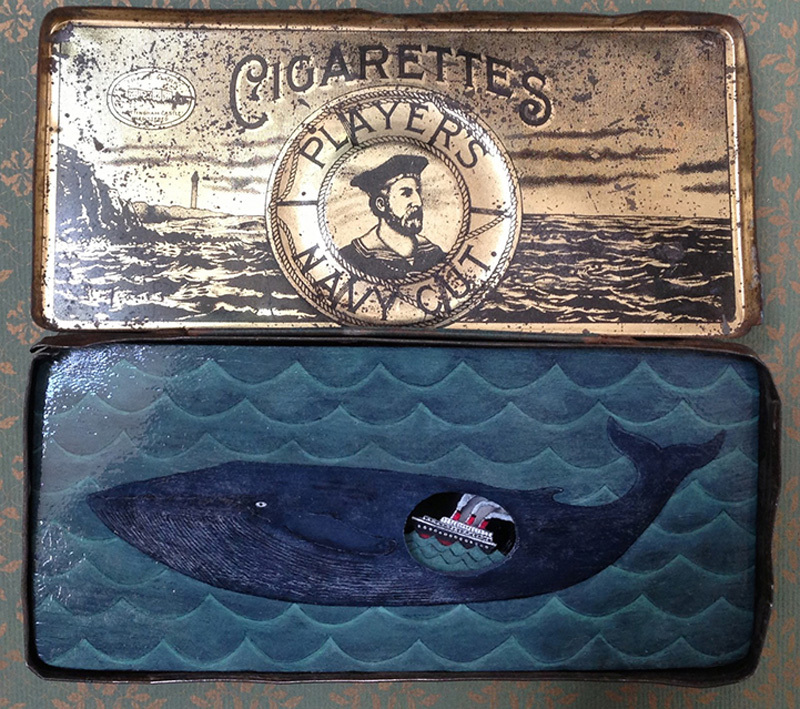 Here I used a 'Player's Navy Cut' cigarette tin from the early 1900s. The whale is acrylic and ink painted on wood and his belly is a glass window containing a tiny 3d collage (a couple of centimetres across) made of small slivers of paper. The White Star Line was the shipping company (contemporaneous with the tin) responsible for the Titanic and the piece obliquely references all of the stories of empire, tragedy and wasted luxury associated with that ocean liner as well as sharing some of the characteristics of a piece of scrimshaw.